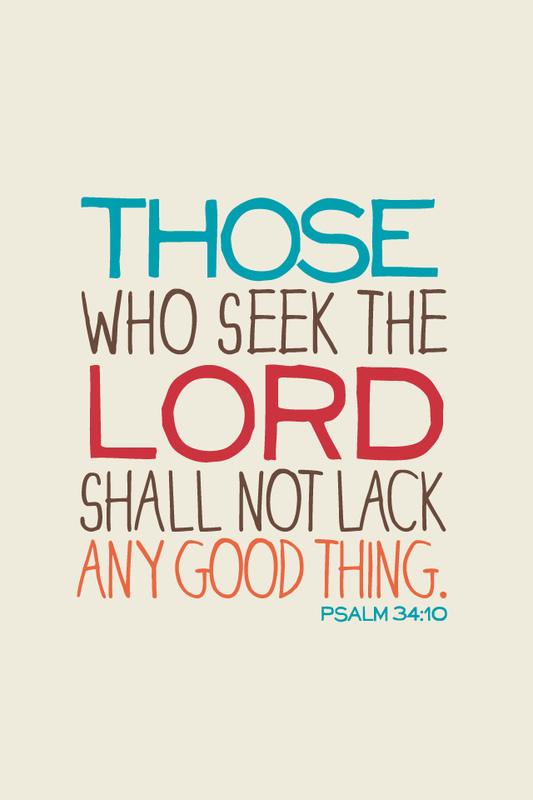 This verse directs us to seek God for obtaining good things adequately. We seek God for various reasons. 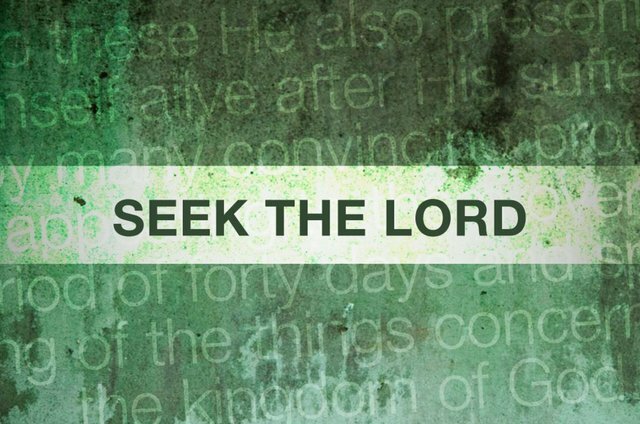 Among the many who seek God there are two sect of people who seek God. One sect comprises of those who have received blessings in some form be it good education, a lucrative job offer, family, house or status and they seek God for having obtained these material blessings from Him. They do not sin because of their status.The other group of people are those who long for all the above mentioned blessings and seek God, as they believe that God will provide all these blessings. They abstain from sin to obtain the above status. The former one will go astray if all the blessings were withdrawn from them and the latter will go astray if they were not blessed at all. The former will sin if there is an opportunity in secret without defiling their reputation and the latter one will entangle themselves to sin when they do not receive blessings. Both groups seek God momentarily and not permanently. Many of us may think that if not for blessings, then what is the reason for seeking God? If God is not healing my prolonged disease then what is the reason that I seek Him? In Psalm 34 the Psalmist praises God not for the blessings that God has bestowed upon him neither does he praise God to obtain the blessings, but he praises God for His worthiness. King David did dance amidst common people. He would forget his status as he had realized the worthiness of God. The Psalmist further invites people who can diligently Seek The Lord that he may teach them the fear of God. Psalms 34:1,12-14 Come, O children, listen to me; I will teach you the fear of the LORD… What man is there who desires life and loves many days, that he may see good? Keep your tongue from evil and your lips from speaking deceit. Turn away from evil and do good; seek peace and pursue it. Micah 6: 8 He has told you, O man, what is good; and what does the Lord require of you but to do justice, and to love kindness and to walk humbly with your God? Jesus Christ Himself promised us of material blessings for the people who seek Him diligently. Matthew 6:33 But seek first the kingdom of God and his righteousness, and all these things will be added to you.If you start seeking God keeping the things which are added to you, then you are not seeking God but are seeking blessings. God’s love is unconditional. Here God is not laying down conditions to bless us but communicates that if you seek him whole heartedly, then you are going to enjoy the blessings of this world too. In Mathew Chapter 20, through the parable of Vineyard and the laborers, Jesus depicts that the nature of man is prone towards monetary values rather than the values of the incredible love of Jesus Christ. Dear friends the Lord shall not deprive us of worldly blessing if we diligently Seek Him. To understand this we should have the appreciation of the real blessings. 1 John 2:25 And this is the promise that he made to us—eternal life. In this New year start seeking God for His worthiness – realizing what He has done for us. May God open our hearts in this new year to inherit his holistic blessings abundantly. Happy New Year! Amen.